Providing community-based peer support for stroke survivors and carers. 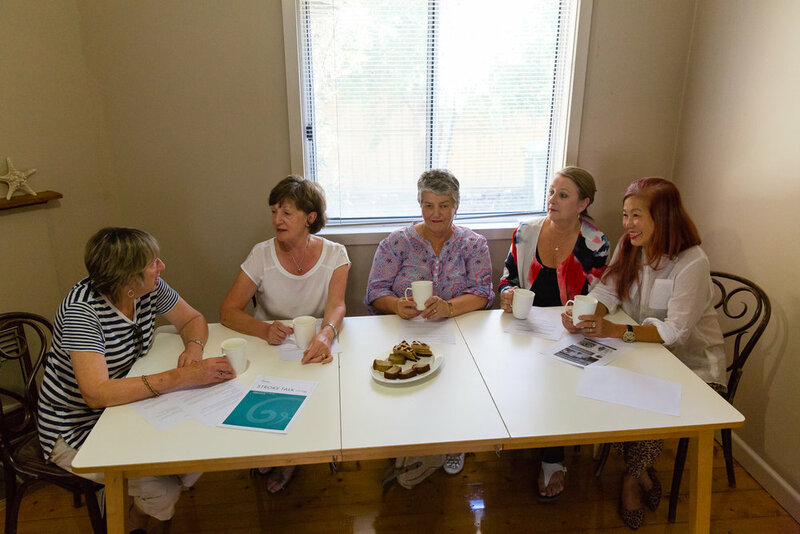 The Stroke Association of Victoria is a dedicated provider of community-based peer support for stroke survivors and carers, with a sole focus on non-clinical support through collaborative partnerships and volunteer support. At TFN Sydney, The Stroke Association of Victoria raised a very worthwhile $20,850 to support the delivery of 12 training workshops that will train carers to help stroke survivors who are re-integrating into the community to lead a life post-stroke. The workshops include training in activities of daily living (ADL), mood and mental health monitoring (coping mechanisms), and peer support mentoring. Soon we will have 500,000 people living with the effects of stroke, which will impact 1 in 6 Australians. It can cause long term chronic disability, and doesn’t just effect the person who had the stroke, but it effects their family, their workplaces and the local community. This is why The Stroke Association of Victoria has enabled the community to be stakeholders in the recovery of people who have suffered from stroke. They pitched for funding to run a "Life After Stroke" program. Since the pitch in 2017, they have been able to start running the program in three areas; Kew, Geelong and Bendigo, and thanks to the support of local Rotary clubs they're planning to roll it out further. They hope to continue growing the program and in this financial year their aim is to reach and support 100 stroke survivors and their families. The program will see a growth of referral pathways, replication in other areas, and a connected community of stroke survivors. Below is an amazing story of a community coming together. “One recent example of the success of the Life After Stroke program is that of a 57-year-old man, Gary*, who was a survivor of an anterior communicating artery aneurysm. ... Following his rehabilitation, he had recovered without any obvious physical difficulties and was able to return to running his business. Although he was able to succeed at the physical side of his work, he was having difficulty managing the business/auditing side of the work. The Life After Stroke program assigned a mentor who had considerable experience in running businesses to assist Gary to overcome the difficulties he was experiencing running his business. On meeting with the Gary, the mentor thought it would be a good idea to assess the cognitive impairments that were impeding his ability to deal with the running of his business. The mentor consequently called in another Rotarian who was qualified to give the Stroke Survivor a neuropsychological assessment. Learn more about Stroke Association of Victoria.